HoBao Racing is the original manufacturer of the world known Hyper 1/10 & 1/8 Buggies, Truggies, Monster Truck and GT series that were sold under OFNA name in the USA. 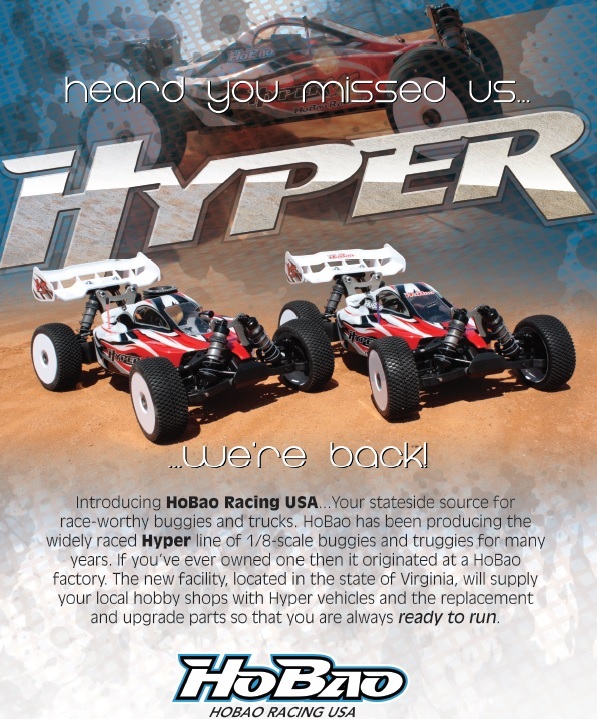 In June of 2016, HoBao Racing established HoBao Racing USA to service new and existing Hyper owners directly. We have Hyper car kits along with full parts support within USA. For all existing OFNA Hyper owners, please download the HoBao - OFNA part number referrence chart here for all future parts ordering. HoBao Racing has 30 years of experience in the R/C industry and won many national titles worldwide. HoBao takes pride in designing and crafting the highest level of remote controlled models in the world.